I was participating in a beauty bloggers chat on Twitter on Sunday night which had a very interesting topic- If you could design a beauty product what would it be? There were a lot of great idea's such as self cleaning make-up brushes and a device that curled your whole head of hair in seconds, but one invention in particular caught my attention, a foundation which adjusts to the colour of your skin. 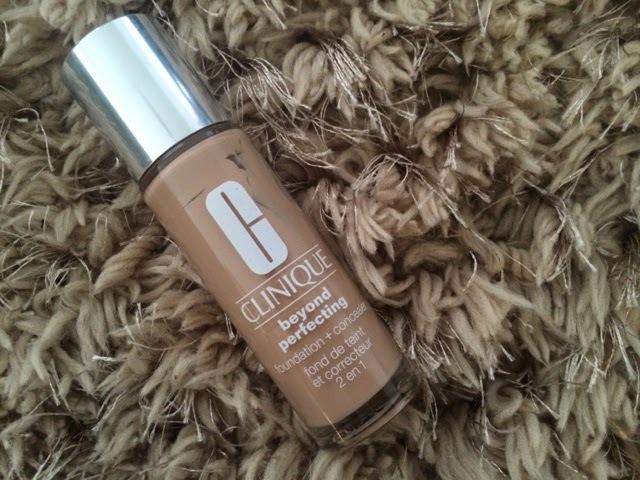 Ever since I started wearing foundation I have always had trouble finding the PERFECT one. It's either not the right shade, not enough coverage, wrong consistency, not right for my skin etc etc. It is a NIGHTMARE. I dread the day my current bottle runs out and I have to trawl round the beauty counters in Debenhams or House of Fraser, as I always end up panicking and re-purchasing Studio Fix fluid from MAC. I mean Studio Fix is OK, but just not perfect. Over the years I have tried MAC Studio Fix and Pro Longwear, Estee Lauder Double Wear and then various random brands from Boots (Borjouis, Rimmel, Maybelline etc). I used to find it so hard to find the right match as I used to be perma-tanned, so the consultant would match the foundation to my tan, instead of my actual colour (which is about 3842394823798 shades paler, unfortunately) and I would either have an orange head and white body, or the other way wrong. Either way NOT a good look. ANYWAY I thought what the hell and purchased a bottle in shade 7 'cream chamois' (£25) and I am loving it! It makes my skin look airbrushed and it doesn't feel heavy, which is perfect especially now the weather is getting warmer. NO FILTER believe it or not! Has anyone else found their perfect foundation? what brands are you rating?